In July of last year, Elon Musk said that Tesla hoped to produce 20,000 Model 3s per month by the year’s end. 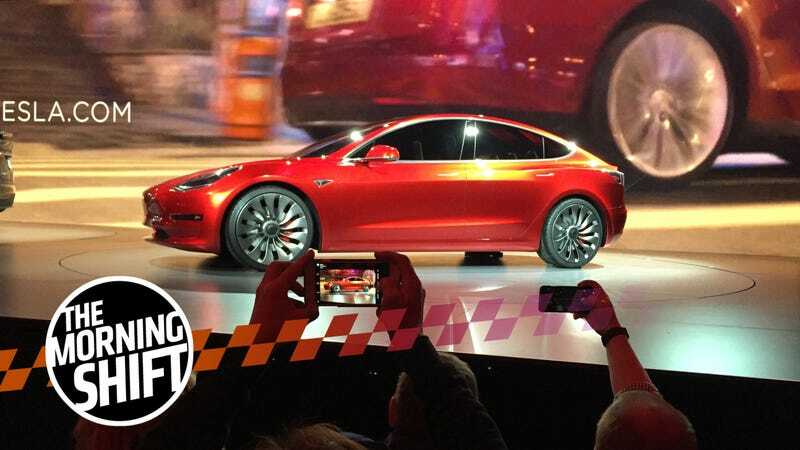 That number was then slashed to an estimated 2,500 cars per week, and yesterday’s company-wide email stated that the company has just passed a rate of 2,000 Model 3s a week. And it seems that Musk has decided that it’s time to personally step in. The move came after Tesla failed to hit its goal of making about 500 Model 3 sedans per day, or 2,500 per week, by the end of March. Mr. Musk appears to have pushed aside the company’s senior vice president of engineering, Doug Field, who had been overseeing manufacturing in recent months. Yes, I would quite agree that building cars is hard. Back in 2013, Tesla hired ex-Apple VP Doug Field to head up its vehicle programs. He is the company’s senior VP of engineering and oversees Model 3 production, but it seems like he isn’t doing a stellar enough job for his boss. After Donald Trump took office, automakers met with him and asked for more flexible emission limits that were enacted under the Obama Administration. On Monday, Scott Pruitt, head of the U.S. Environmental Protection Agency, ordered that the strict MPG rules be revised because they are “wrong.” (Keep in mind that this is the same man who refuses to connect CO2 with climate change.) But this might not be as simple as the automakers think it will be, according to Bloomberg. We reported yesterday that Pruitt also mentioned California, saying that “Cooperative federalism doesn’t mean that one state can dictate standards for the rest of the country.” California officials have said that they will fight to keep their emissions regulations. ... officials of that state promptly vowed to defend its standards in court, signaling that years of litigation and uncertainty could lie ahead, further complicating an industry already facing profound change from self-driving cars and mobility services. If the industry winds up with a patchwork of rules, “it’s going to be a nightmare in California,” Jim Lentz, chief executive of Toyota Motor Corp. in North America, said in an interview last week. “You may have people cross the border to buy a truck in Nevada and not in California,” he said. It sounds like it would all be a huge mess. The deadly Tesla Model X crash that happened last month is the third-known death to occur while the driver was using Tesla’s Autopilot semi-autonomous feature. It was tragic, but it hasn’t stopped Google’s Waymo from jumping in and drawing distinctions between Tesla’s tech and its own. While the crash is still being investigated and no conclusions have yet been drawn, John Krafcik, CEO of Waymo, said that Tesla’s Autopilot is not the same as what Waymo has been working on, reports Bloomberg. He insists that Waymo’s tech doesn’t need any human input. Despite this Model X crash and the fatal Uber crash, it doesn’t look like Waymo is halting its plans to roll out its autonomous tech by the end of 2018. In fact, Krafcik said that Waymo’s tech is “robust” enough that it would have avoided the Uber crash. Them’s fighting words... fighting words that are especially scary when you consider that there have already been fatalities attributed to autonomous tech. It’s a race, for sure, but at what cost? I will admit to you that Infiniti is not a carmaker I think about very often. In my mind, it’s kind of always just been... there. Evidently, I’m not the only one who feels this way. But Infiniti could try to carve a new niche for itself in the electrified market. The Nissan Motor Co. premium brand wants to use the structural changes enabled by the industry’s shift toward electric and self-driving cars — such as a larger cabin and fewer components under the hood — as a chance to inject a Japanese touch of simplicity and space into its models. That entails a minimalist approach to the interiors, with a goal to cut back on buttons and controls, a la Apple Inc.
After trailing German rivals for decades, Infiniti has a mountain to climb to narrow the gap — BMW AG sold eight times more cars globally last year. But Infiniti is betting the industry’s shift will rewrite the rules, and the carmaker envisions half its sales will come from electric vehicles by 2025. This chance to reinvent itself is a good thing, says consulting analyst, Ken Miyao. “Infiniti has an ambiguous brand identity and doesn’t seem like a genuine Japanese brand.” By breaking into the electric car market, it could get a shot at incorporating some of that Japanese aesthetic to its products. Hey, if that kind of thing works out for Nissan, then full steam ahead, I say. Amidst the #MeToo movement, which has swept across the world, a female Hyundai executive in South Korea has resigned, reports Reuters, citing the Yonhap news agency. The executive was not identified by Hyundai or Yonhap. According to Reuters, at the end of 2017, only three of Hyundai’s 298 executives were women. Neutral: Do You Think Autonomous Tech Is Accelerating Too Fast? Do you think people are ready for it when it’s released to the public?